It's that time again! If you've missed out on my Instagram swaps before, this is one you will definitely want to be in!! I am choosing approx. 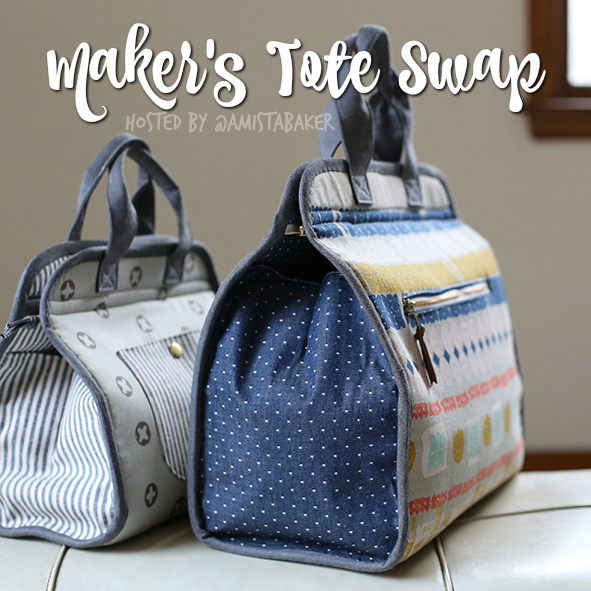 20 intermediate - expert level sewsists to participate in the Maker's Tote Swap. They will be handpicked by me (people i KNOW are reliable and experienced) to ensure everyone gets a quality made Maker's Tote. Sign Up Link will be posted on my Instagram profile from 10 a.m. to 10 p.m. EST today. If you're someone who's nervous about swapping because you're afraid you'll get a sub-par package compared to what you'll make for your partner - I assure you this swap will not be like that. Many of the swappers will be from my previous swaps - people I know with 100% certainty are super talented and reliable. They won't let you down! Sooo.. is it peaking your interest yet? Below are the requirements and timeline. Swap is open internationally, anyone can join! Must have a public Instagram account for duration of the swap. Tag ALL posts with #makerstoteswap and tag me (@amistabaker) so it's easier for me to keep up with them and follow progress. Follow swap timeline and check-in when required. Must be willing to ship worldwide. This is an international swap! AUGUST 29th: At least ONE photo collage must be posted to your *public* Instagram account on or before this day. It should include styles of Maker's Totes you like, or fabrics and designs that you like to show your partner your sense of style. SEPTEMBER 5th: Note that you have just under 4 weeks from this date to complete swap. A fabric pull photo posted to your IG is required on or before today so I know you're at least planning your items. SEPTEMBER 19TH: A work-in-progress must be posted to your Instagram on or before this day. Do not show the entire item(s), leave some of it a surprise but I do need to see that the item(s) are in process of being made or nearly finished. SEPTEMBER 31st: SHIP DAY!! This is the last day for all packages to be postmarked and shipped out to their partner. YOU MUST send me an Instagram message or email giving me the tracking number for your package. You can purchase and download the Maker’s Tote Pattern at Noodle-head.com. You must make one Maker's Tote (large size) for your partner. I understand that the pattern comes in two sizes, but we will make the large size. It's not enormous though, I promise. The large tote is approximately 16” wide, 13” tall, 7.5” deep. 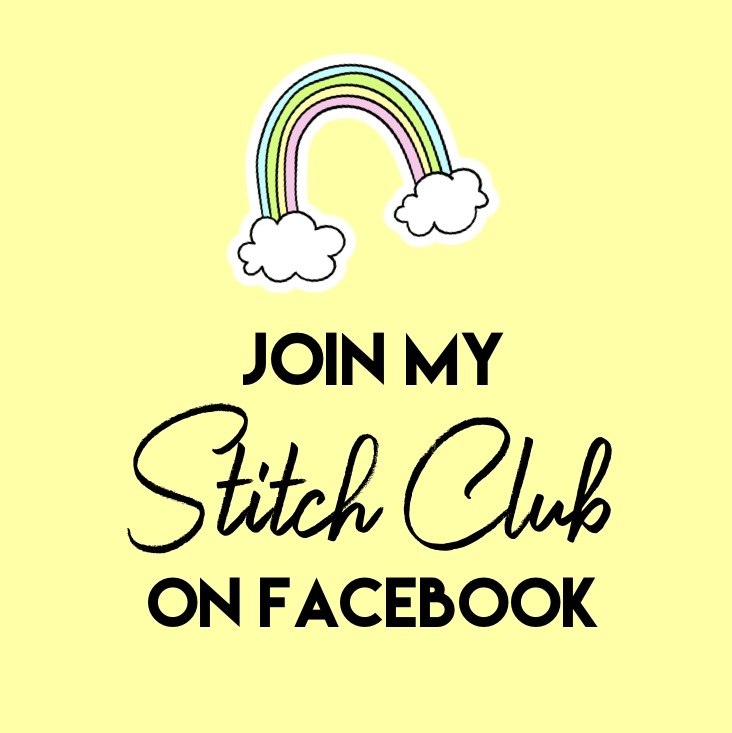 Please add some form of piecing, patchwork, epp, etc. to a part of your partner’s tote. Because I asked that only intermediate - expert level people join, this should not be an issue for anyone. It can be as simple as adding some modern hexies to your pocket / tote panel or as advanced as doing some foundation paper piecing for the main bag exterior. Its up to you! Stick to the pattern for the bag construction. Please dont change sizes or shapes of anything - this is just to ensure everyone gets the same size bag. The top zipper closure IS optional however, and can be substituted for magnetic closure instead (pattern will explain this). Adding little extras to your package is is an added bonus. 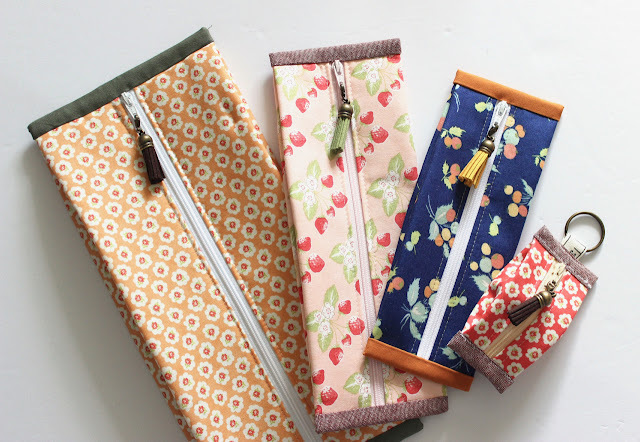 Many people enjoy sewing notions / tools, fabric, candies or treats, zipper pouches or coin purses, etc. Again, sign up links go live from 10 a.m. to 10 p.m. today on my Instagram profile (@amistabaker)! Partner emails will be sent out within a weeks time so everything can get started!